Mark Lowcock, the UN Humanitarian Coordinator in Yemen, says that 7 – 8 million Yemenis are one step away from starvation. 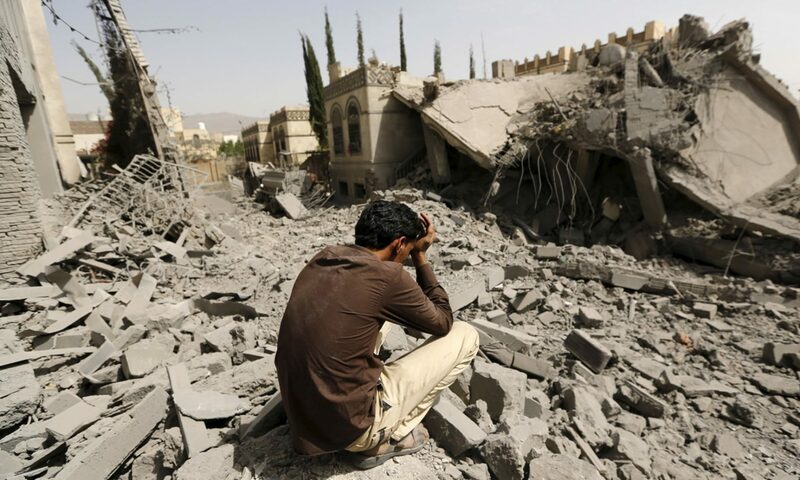 The BBC reports that more than 80% of Yemenis lack food, fuel, water and access to health care. But, ordinary people who prefer not to be represented by vicious warlords and who face no risk of torture, disappearance or other frightening punishments (people like me for instance) have a responsibility to speak up visibly and clearly. .
Time is running out for the children of Yemen. The Crown Prince is mistaken. Any war, long or short, may seem to favor the perpetrators, but in the long run wars sow seeds of revenge, retaliation, hatred and death. Real courage requires control over our fears and mutual agreements to protect the most vulnerable among us. Especially the children.